Xiaomi Corporation (小米集团) released a statement announcing that the company’s new independent smartphone brand, the Redmi, has so far delivered over 1 million devices since its brand splitting on 15 January 2019. The statement, which is a voluntary announcement presented to the Hong Kong Stoke Exchange, aims to provide the company’s latest business status to its shareholders and potential investors. It says that the delivery number of Redmi shows the company’s multi-branding strategy has met with preliminary success, and also demonstrated the company’s abilities of developing, supply chain managing, and retailing. On 15 January, Xiaomi announced that it had split its bargain sub-brand Redmi and make it a new company. The sub-brand will focus on low-end market and provide customers with cheap smartphones manufactured by Xiaomi, while Xiaomi, as the company’s main brand, will provide Mid- to high-end devices that compete with Samsung and Apple. In the meantime, Xiaomi appointed LU Weibing (卢伟冰) as the Vice President of Xiaomi Group, and the General Manager of Redmi. Before joining Xiaomi Group, LU Weibing worked as the president of Chinese smartphone maker Gionee (金立手机), EqualOcean reported. So far, Xiaomi Corporation owns four independent smartphone brands - Xiaomi, Redmi, POCO and Meitu, and the other three except Xiaomi are all facing low-end customers and the younger generation. The data provided by International Data Corporation (IDC) shows that the global average smartphone price will rise to USD 329 by 2022, comparing to USD 265 in 2018, with a 24% increase. It means that customers worldwide will continuously accept smartphones at a higher price. Xiaomi’s main Chinese rival, Huawei, has also conducted a similar dual brand strategy since 2014 when the company launched its low-end brand, Honor. Honor is only sold online at an affordable price. It’s clear that Huawei is the company's traditional and premium brand, and Honor is the young and affordable brand. 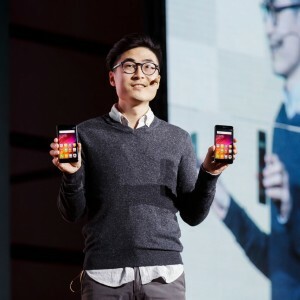 The two groups of consumers that Huawei and Honor target with these devices are distinct, and the devices will be evaluated in these two different contexts. According to Sino Market Research's Ranking of Chinese Smartphone Delivery 2018, Xiaomi Corporation’s smartphone delivery number ranks in the sixth among its Chinese peers and occupies only 11.3% of the market. According to the company’s prospectus for initial public offerings, it sold 28 million smartphones in the first quarter of 2018, while there were 22 million of which are low-end devices.